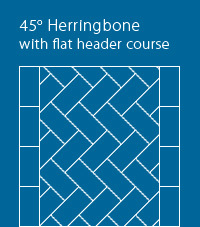 The Herringbone pattern is and old favourite, best suited for smaller pavers. It’s ideal for paving courtyards, pathways and driveway paving. 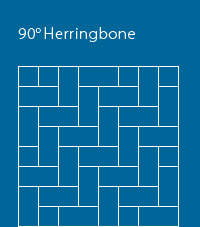 A “header”, of contrasting color, neatly frames herringbone paving patterns. It and highlights the pattern and blends well with the cut edge of the herringbone pavers. A herringbone pattern with a contrasting strecher inlay and same coloured header is also a great looking style for the herringbone pattern. 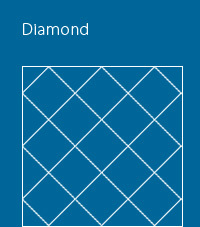 The Stack Bond pattern is a common and best suited to square pavers. As the name Stack Bond already says, pavers are “stacked” above each other, so that the edges of the paver create a straight line in both direction. Small, as well as larger pavers can be used for this particular pattern and look great with a contrasting header at a 45 degree angle, to border the paving. 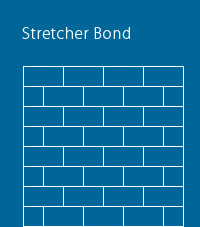 The Stretcher Bond pattern is a very common pattern for large rectangular pavers. its quick to lay and looks great with small and large pavers. 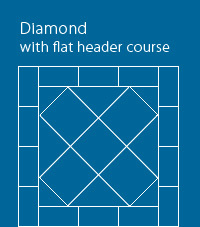 This pattern can be layed in a 90 degree, as well as a 45 degree pattern and looks fantastic with a contrasting header or a contrasting stretcher and same coloured header. 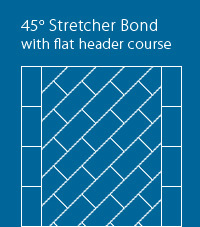 One straight clean lines will be created by laying the strecher bond paving pattern. 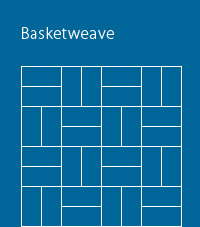 The basket weave pattern is an attractive pattern and can create a checkered effect with two contrasting colours. 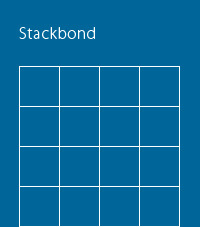 A header is not necessarily needed, depending on your personal choice. A Circular edge to garden paving creates a natural flow with the existing features in the enviroment.